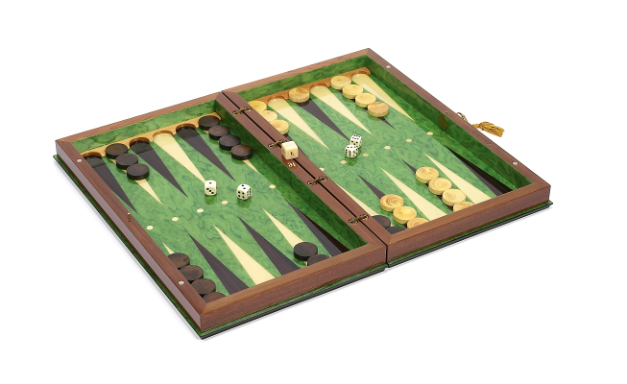 Bello Games Collezioni - Mirabella Backgammon Set from Italy Mirabella Backgammon Set from Italy  - $1,350.00 : Bello Games New York, INC. 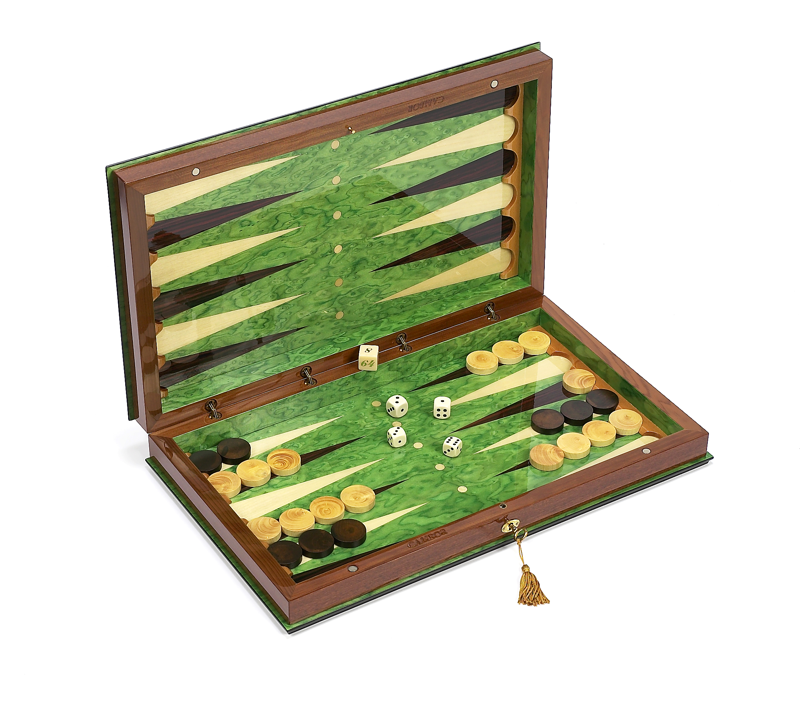 This luxury backgammon set is handcrafted by Italian artisans and has superior craftsmanship. 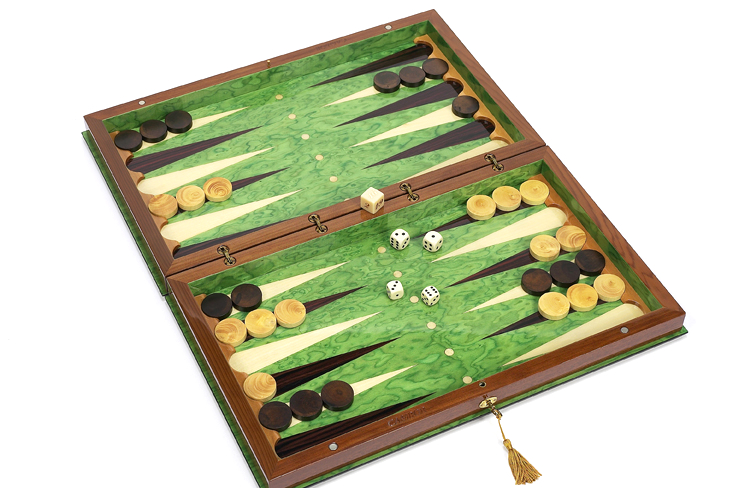 This collectible backgammon set will bring joy year after year. 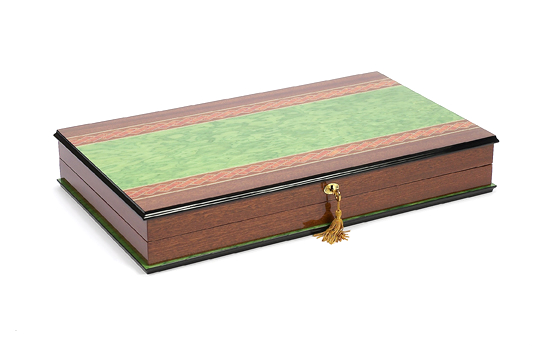 This set is made of several exotic Italian woods such as white pearl wood, elm, walnut and briar wood. 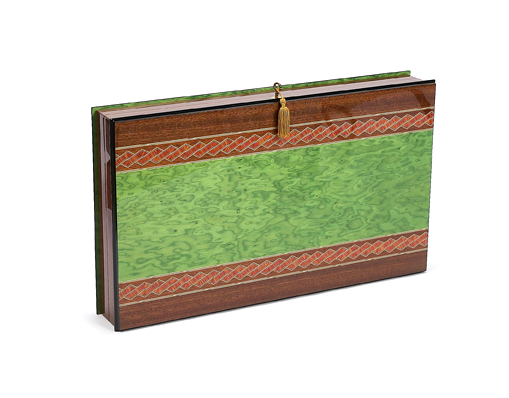 It is accented with gorgeous meticulous inlays along the outside of the case. 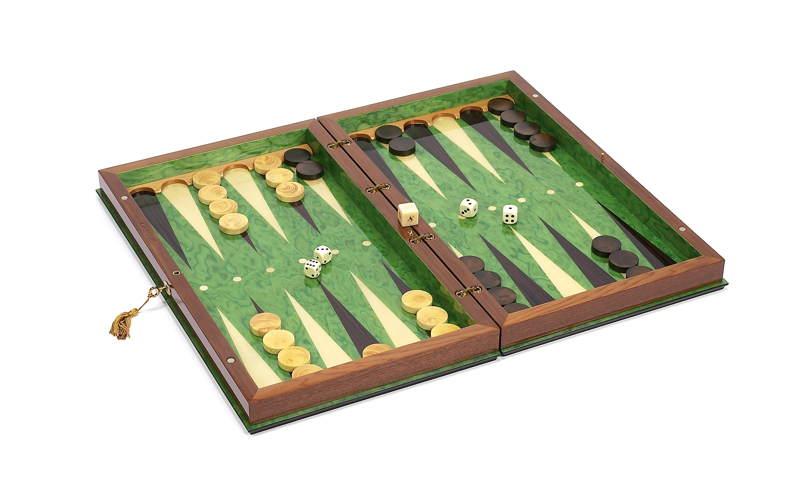 The backgammon checkers are made of Italian walnut and olive wood. 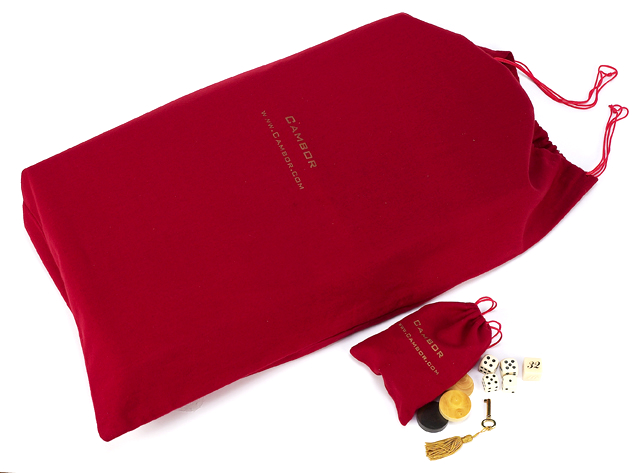 The set is complete with a cloth draw string bag and a lock and key which is 24K gold plated. This is an unforgettable gift that will be appreciated from one generation to the next and is made in Italy for you. • Interior/exterior solid Italian briar wood. • Solid brass latches and hardware 24K gold plated. • Complete with lock & key, four dice & one doubler. • Size: Size: 23 1/4" x 19 3/4" x 1 1/2" (open) 23" X 9 1/2" (closed).